In the last post we shared about living each day for the Lord and some perfectly great reasons for doing so. But, how do we do that? Just saying we know God is not living for Him. Even the demons “know” God, but they do not live for Him. It is not enough to say, “I am Saved or I know God.” We must live our Salvation out and grow in Him more every day. 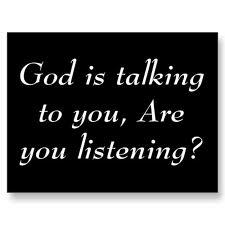 Many who know me are familiar with a saying I have grown accustomed to, “I will never know everything about God and His Word, I learn more each day. The day I think I know it all, it is time for me to Go Home!” Even as I am led to share these posts, I ask His Holy Spirit to teach me what I need to learn from them. Once we have trusted in Jesus’ deliverance from our sins, we must continue to grow closer to Him each and every day. Of course, we must enter into our prayer closets and share and listen to His sweet voice, but perhaps the most vital thing we can do is get into His teaching manual, His Word. In my quiet time this morning as I was in His Word (my Women’s Study Bible-KJV), I read an insert by Stormie Omartian from “The Power of Praying” that I believe is helpful for us all as we grow closer to our Saviour. I trust this into God’s capable hands to get it where He needs it to go, and to do what He needs it to do in me. Words in () are mine. GOD HAS PRESERVED HIS SUPERNATURAL WORD FOR HIS CHILDREN. THERE IS NO GREATER LOVE THAN THE LOVE OF YAHWEH!